I just found these adorable images this week! I know, I've probably been hiding under a rock, but I came across Wee Stamps the other day, and just had to get this super sweet digi called Suzi with Bunny. I used some dp from My Mind's Eye Miss Caroline Howdy Doody and the sentiment and tag come from the PTI set Tiny Tags. We hope you'll play along with us! 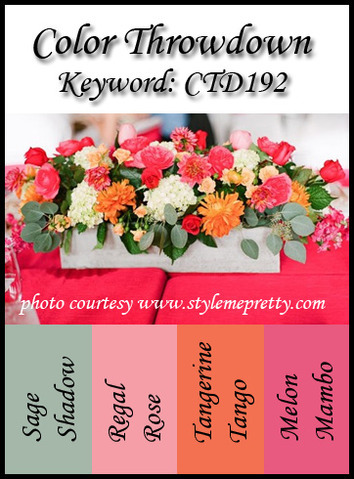 Just link your creation to the Color Throwdown Blog and check out the rest of the gorgeous DT creations while you're there! What a wonderful card, beautiful colours! So wonderful card Kerri,I love the image and the colours. What an absolutely precious image and beautiful coloring, Kerri! Love it! She is just as cute as she can be, Kerri, and beautifully colored, I might add!!!!! Thanks for the link...I'll have to go check it out!!! This is the sweetest thing, Kerri! Love your coloring. Simply adorable, Kerri! Fabulous design! OMGosh, she is ADORABLE, Kerri! 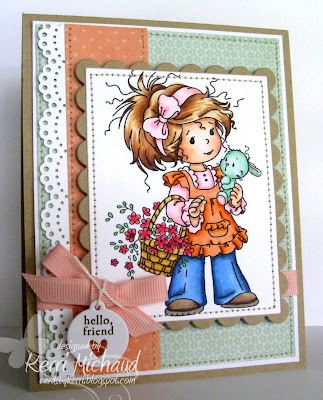 Darling card, and your coloring is fabulous, especially on her hair!